Here is a selection of 20 great matched betting reload offers. With 2019 now in full swing, let’s look at a range of promotions and odds boost across sports and casino. 2). Use your free bet on an eligible market. Lay as SNR on Smarkets. 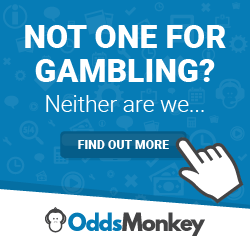 Probably the best matched betting offer…in the world! Bet365 2 goals ahead early payout offer is a potential goldmine. See the 2up matched betting guide for a range of tactics. Refund match result stakes up to £10 on Premier League, Championship, Serie A, and La Liga matches if it’s a 0-0 draw. 4). If the match finishes 0-0, use your free bet as SNR on a suitable high odds selection. 3). Hope there is an injury time goal (90+ minute) that makes your bet a loser. Refund as a free bet if you team leads at anytime, but loses the match. You will often find good value odds on multiple that cannot be hedged at the exchange. Consider staking if the odds are higher than the implied lay odds. All prices are subject to change as the bookies accept liabilities to a certain level. 1). Only select multiples that are postcode expected value (EV+). 2). Multiply the lay odds of each selection and compare to the back odds. For example, the 188bet treble above is 106% EV at the time of writing: Napoli (1.96 to lay) x Tottenham (1.77) x Man City = 4.09. 3). Then, divide the back price of 4.35 by the combined lay odds of 4.09 equals 1.06 (x100) gives the 106% figure. 188Bet is one of the few remaining bookies to offer enhanced odds from the Racing Post “Pricewise” horse racing tipster. 1). Check the Pricewise price grids in the Racing Post newspaper (usually between pages 10 to 20) or on the IPad App. Look for arbitrage opportunities on the live ITV horse racing odds. 2). Place the arb at 188Bet, then lay off at the exchange. Hint: 188Bet might restrict your liability on singles, so put your selection in doubles or multiples instead. You need to opt-in before placing bets for most weekly bet clubs. I’ve detailed the minimum odds for qualifying bets. Free bets are usually credited by Monday. Skybet: Opt-in, bet £25 at 2.00, get £5 free bet. Paddy Power: Opt-in, bet 5 x £10 at 1.50, get £10 free get. These regular offers are an easy few quid to build your bankroll. Try these free offers for the chance to win free spins. You may need to opt in before participating. The Gala Casino, Gala Bingo and William Hill free spins often carry no wagering. Place a bet on an live ITV race, get a free bet (up to £25) if your horse wins at Starting Price of 3/1 or higher. 1). Place a qualifying bet (up to £25) on a horse. Look for odds of at least 4/1, as you want SP odds of at least 3/1. 2). Lay at Smarkets, Betdaq or Matchbook. Do not lay at Betfair Exchange. 3). If your horse wins at a SP of 3/1 or higher – get a free bet to match your stake. Refund as a free bet (£1 to £50) if your first goalscorer scores the second goal. 1). Place a qualifying bet (£1-50) on a first golascorer at Dafabet. Refund on losing bets if a specific outcome occurs. On Saturday 19th January 2019, The offer is refund if Chelsea beat Arsenal. 1). Place a £10 bet at 4/5 or higher on any Saturday Premier League match. 3). Get 1 free spin for every goal scored across all Saturday Premier League matches. Each free spins is worth 10p on “Genie Jackpots Megaways” – credited by Monday 21St January 2019. William Hill have recently offered extra places on one Saturday ITV race. On Saturday 19th January 2019, the 2.25 Ascot was 1/5 the odds 5 places in a 10 runner race. Paddy Power have several extra place races each day. These are typically 4 or 5 places at 1/5 odds each-way in 11+ runner races. If your team scores first in the first 5 minutes (until 4.59 on the game clock), get paid as a winner regardless of the match result. 1). Opt-in, then place a qualifying bet on either team to win in the Match Odds (1×2) market up to £1,000. Bets on the draw do not qualify. 3). If your team scores up to 04.59 on the match clock but doesn’t win, both SportNation and the exchange pay out as a winner. If a penalty is scored, get paid double winnings (as a free bet) on winning first goalscorer and correct score bets. ♦ Applies to all English Premier League matches and selected live UK matches. ♦ Applies single bets on first goalscorer and correct score markets only. ♦ Minimum stake is £20. One qualifying bet per match. 2). Lay your selection in normal mode. 3). If your bet wins and a penalty was scored – you’ll get double winnings as a free bet (to a maximum of £500). 4). Your free bet is credited within 24 hours. Use the free bet in SNR mode within 7 days. Get a free bet if there is a decisive goal in the 88th minute or later. You will receive a £50 free bet if there is a goal scored on or after 88 minutes in the match which decides the outcome of the match. 1). Opt in the offer and place a £100 bet on an eligible match (minimum odds 2.00). 3). Get a £50 free bet if there is a goal scored on or after 88 minutes that decides the outcome of the match. Two FSB Tech bookmakers are offering their own flavour of Double Delight on first goalscorer bets. 1.) Place a qualifying bet of £5-25 on a player in the “first goalscorer” market. 3). If your player scores the first goal before the tenth minute of the match – get paid double winnings. Be your player scores first, then scores another goal – get paid double winnings (as a free bet). 4). Use your free bet as SNR on maximum odds of 6/1. 1).Thursday to Sunday wager £10 on a selected slot with your Connect Card (Multi-channel). For example, 17-20 January 2019, The Magician Mystical Riches. 2). Get a £10 bonus (5 x WR) on Monday. Use on Big Banker. This is the same offer as Coral. However, for 17th to 20th January 2019 the Ladbrokes shop qualifying slot is Age of Gods: Medusa and Monsters . Used £5 bonus (5 x WR) on Irish Riches Megaways. Please note that the qualifying game and bonus slots changes each week. Great list! William Hill’s Golden Goal offer is another one well worth looking out for. Similar to 2up, you get paid out if your team scores first even if in the end they draw or lose. Potential to win both the back and lay bets if this happens, or you can cash out early for a smaller guaranteed profit if your team scores first. William Hill Golden Goal looks like a great promotion – will definitely check it out.